Listen to our broadcast from Tuesday, September 1st, featuring our guest Morris Segall of Sage Policy. Morris Segall, C.F.A, is a Senior Economist and Senior Advisor for Sage Policy Group, an economic research and consulting firm. Prior to his position at Sage Policy Group, he was the President of SPG Trend Advisors, the capital markets and economics affiliate of Sage Policy Group. He has extensive experience as an author, investment adviser, and financial industry veteran with more than 25 years experience that includes capital markets strategy and managing large institutional wealth management entities aggregating more than $1billion in assets. His experience includes: consulting with clients on business, financial, economic, management and investment developments and trends; developing economic forecasts and capital market strategies and asset allocations; analyzing and developing public policies for improved fiscal performance and economic development; advising investment firms and making economic, capital markets and business management presentations to a wide variety of business and trade organization groups. He has been a guest commentator on Neil Cavuto’s popular Fox News financial show and has been interviewed by a number of publications and broadcast media including The Wall Street Transcript, The Washington Post and The Philadelphia Inquirer. 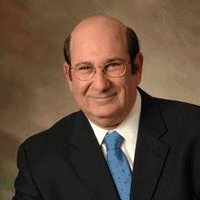 He has been a key contributor of economic, financial and business planning for government entities in the state of Maryland, businesses, law firms and trade organizations and provides economic and capital markets strategy to investment advisory firms whose assets aggregate nearly $1 billion. A frequent speaker at financial and business forums, he has addressed numerous organizations including Vistage International, The Alternative Board, National Foundation for Credit Counseling, TMI Executive Resources, Parente Beard Company, the Greater Baltimore Technology Council and the Urban Land Institute, providing valuable insights into domestic and global business, economic and financial market conditions and future trends.